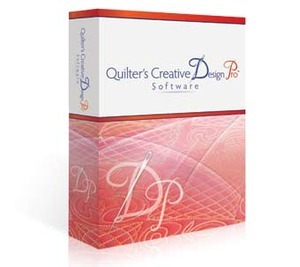 Quilters Creative Design Pro is an all inclusive software for pattern, pantograph, and quilting design. This new and exciting software allows you to design and size patterns and pantographs, design full quilt layouts and even use any True Type Fonts. You can also export the designs to your Automated Quilting System. Not for robotics automation equipment, just for design work and printing. New from The Grace Company! Replaces the Previous QuiltCAD Software, but adds a new Interface, that has a simpler creation process. 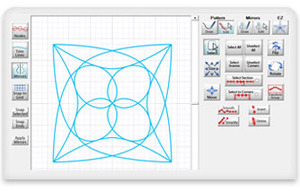 Pantograph Design Software is used for designing, Laying out and for Printing Pantographs for Longarm Machine Quilting. It offers Quilting Layout, Continuous Block, and Pattern Placement. 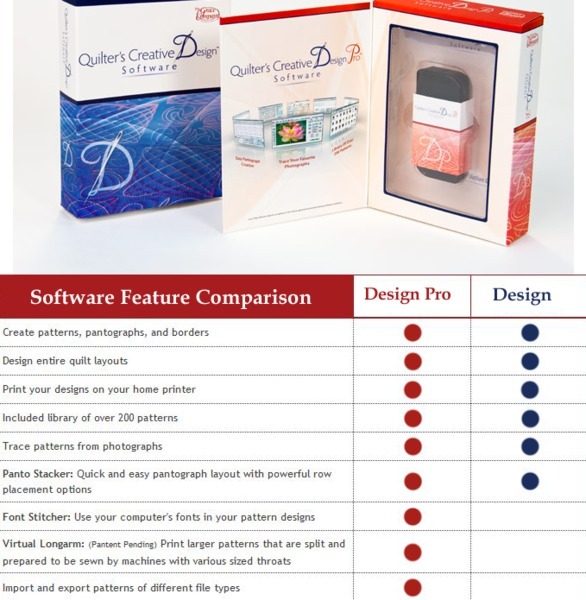 Quilter’s Creative Design and Quilter’s Creative Design Pro are the newest software to design, print and custom your creation. Both of these new features are modeled after our Quilter’s Creative Touch Software. Design is the more basic one allowing you to create patterns, pantographs, borders and then being able to print them out to use and sew the design on your quilt. 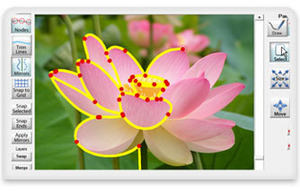 Designing your patterns and navigating through this software is now easier than ever. The inner face is user friendly walking you through each step as if someone was telling you what to do. Quilter’s Creative Design Pro is a step up then the basic one with 3 new features in Fonts, Virtual Longarm and Import and Export. With Fonts you can now use any TrueType font on your computer or touch tablet to create patterns with. Open the new font tool in plugins, type what you would like to quilt and select your font of choice. You can easily resize, position and alter any of your created text patterns because they are treated as a normal pattern. Virtual Longarm gives you the ability to split any size pattern into any height allowing your machine to quilt patterns bigger than the throat. You are no longer required to design patterns that need to fit into the available workspace of the sewing machine. Import and Export is a great tool to use when you want to bring in different file types. With both of these new software’s designing pantographs have never been so easy. They both have the ability to Quickly and easily layout a pantograph with new powerful placement methods. The ability to design and save your patterns easier and quicker gives you more control with less effort. The PRO Version Offers an Import and Export Function Digitally Export, so you can import for computer automation, and a font creator, and the ability to split patterns for digital. The Grace Quilter's Creative Design Pro will work with any quilting machine/frame. 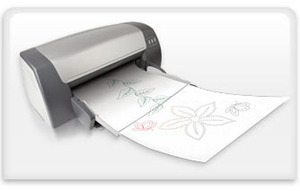 It only generates templates for printout or design downloads for software already with automatic quilt motion frames. 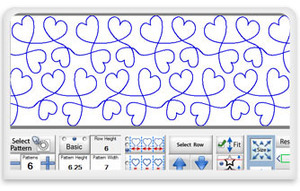 Easy to use stitch-design software, allowing you to create/layout/print full quilt-top and pantograph stitch designs. You will be astonished at the ease by which you can create beautiful continuous line patterns and quilt stitch designs. And not only is it easy, it's fun! No more spending money on expensive pantograph books and patterns! 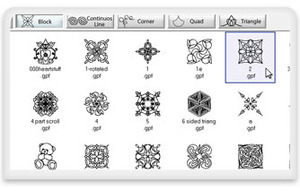 Use Quilter’s Creative Design or Quilter’s Creative Design Pro to design and print custom-sized pantographs, blocks and entire quilt layouts from your home computer. The new user-friendly software makes quilt design easier than ever! No more spending money on expensive pantograph books and patterns! 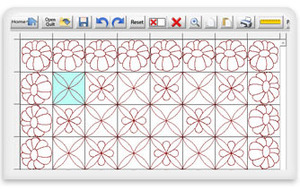 Use Quilter’s Creative Design Pro to create and print custom-sized pantographs, blocks and entire quilt layouts from your home computer. The new user-friendly software makes quilt design easier than ever! Works on any Windows 7, Windows 8 or Windows 10 PC or even tablet! •Virtual Longarm: Print larger patterns that are split and prepared to be sewn by machines with various sized throats. Both the Quilter’s Creative Design and Design Pro come on thumb drives that can be easily uploaded onto any window’s running system, Tablets, Laptop’s and PC’s. It needs to be a true running window’s program, there are some out there that have RT and that is not compatible. Pantograph Createion and Editing: Make Continuous Templates. I am Mark Martin with the Grace Company I work with Nathan and he had asked me to share information regarding our new Software Design and Design Pro. 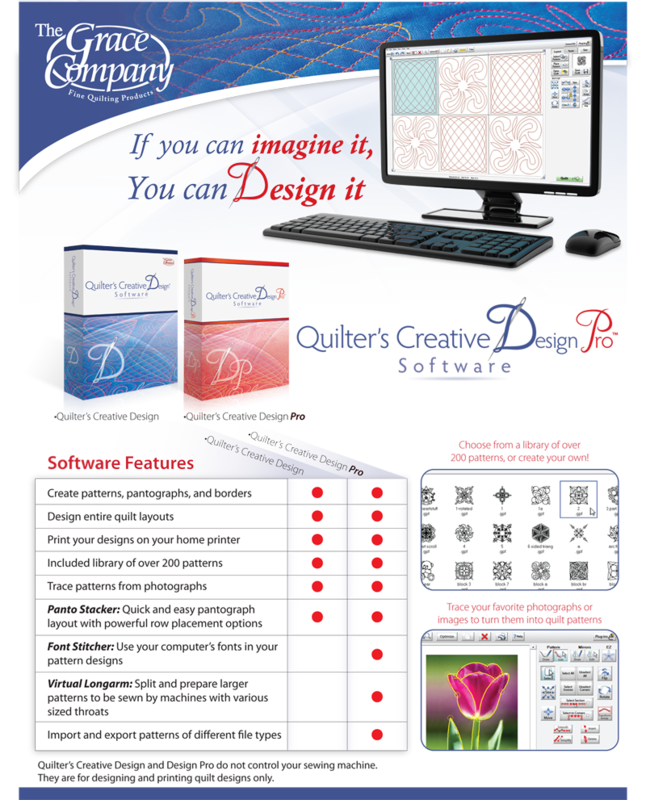 Quilter’s Creative Design and Quilter’s Creative Design Pro are the newest software to design, print and custom your creation. Both of these new features are modeled after our Quilter’s Creative Touch Software. Design is the more basic one allowing you to create patterns, pantographs, borders and then being able to print them out to use and sew the design on your quilt. Designing your patterns and navigating through this software is now easier than ever. The inner face is user friendly walking you through each step as if someone was telling you what to do. Quilter’s Creative Design Pro is a step up then the basic one with 3 new features in Fonts, Virtual Longarm and Import and Export. With Fonts you can now use any TrueType font on your computer or touch tablet to create patterns with. Open the new font tool in plugins, type what you would like to quilt and select your font of choice. You can easily resize, position and alter any of your created text patterns because they are treated as a normal pattern. Virtual Longarm gives you the ability to split any size pattern into any height allowing your machine to quilt patterns bigger than the throat. You are no longer required to design patterns that need to fit into the available workspace of the sewing machine. Import and Export is a great tool to use when you want to bring in different file types. With both of these new software’s designing pantographs have never been so easy. They both have the ability to Quickly and easily layout a pantograph with new powerful placement methods. The ability to design and save your patterns easier and quicker gives you more control with less effort.